F-Secure is a decent company in the security world. It maintains its security products which include F-Secure Antivirus, F-Secure Internet Security and other home and small business utilities. F-Secure has silently released their 2014 line of products. If you are using an older version of F-Secure product, you may want to upgrade to the latest version. The overall protection score was 6 out of 6. The performance score was 4 out of 6. So if you intend to use F-Secure Antivirus or Internet Security, you should expect your system to slow down a bit especially if you are not using the latest technology. The usability score of F-Secure was also very good 5.5 out of 6. It did not give any false warnings or blockages when visiting websites. Only three out of 600,000+ false detection of legitimate software were observed. If you have never used F-Secure product before, this is the chance to download and use F-Secure Antivirus for one year at zero cost. The antivirus protects against all kinds of malware but does not include advanced security features provided in Internet Security suite. If you are using Windows 8, most probably you’ll not need those advanced security features. 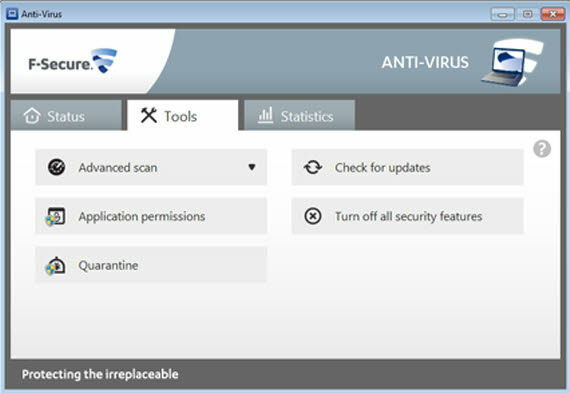 To get F-Secure Antivirus 2014 free for one year, just download F-Secure Antivirus 2014 from here. This is a web installer which means that it will download the actual components when the web installer is run. The installer has a built in license key which will automatically be installed upon full installation. Just make sure that you are not running any previous version of F-Secure Antivirus or Internet Security as installing on to the already installed F-Secure product will not extend the license. The already installed license will be used instead. Sadly, the official website does not mention Windows 8.1 as a compatible Operating System although it may run fine on Windows 8.1. All other versions of Windows are supported. Definitely Muhammad Jafakash. We are always open to your opinion and suggestions. I have a choice to purchase F-Secure Internet Security or Kaspersky Internet Security. Which one is better? That depends upon your needs. All antivirus and internet security products are good in one aspect or the other. If you want tight security and would compromise on performance, you may go for Kaspersky Internet Security. Which is the best antivirus according to you? I want to have the best security of my PC when I install the antivirus? and the key is not present, when viewed under subscription! Just as info! Somehow I feel ripped! the key is not accepted as a full version, there are only 30 days! I hope this will register the antivirus for on year. Nope,this just trial Serial for 30 days..